Louisiana’s Jim Brown hosts a lively, informative, syndicated radio talk show on the Genesis Communications Network, every Sunday morning from 9 to 11 AM CST, called Common Sense. The listeners in his syndicated markets range from this area to Hattiesburg, MS., to Utah, and are growing. His subject matter is diverse and Jim can be engaging on all matters, lacking the political or idealistic extremist tendency agendas so often found on radio and all media these days. It is a refreshing way to spend a Sunday morning, as I discovered in my interview with him on September 12, about 15 minutes after the top of the second hour. His broadcasts are streamed live online and he has podcast archives available to listen to any time. Also, Jim has a weekly column and plenty of other interesting material on his blog page. Jim Brown can make lots of Common Sense. The links are below. 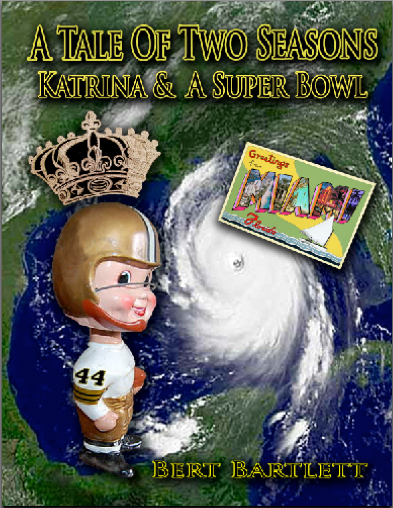 Posted in Uncategorized.Tagged A Tale Of Two Seasons, Common Sense, Genesis Communications Network, Hurricane Katrina, Jim Brown, Katrina & A Super Bowl, Louisiana, NCAA, New Orleans, NFL, Pro Football, Write2grow.org.